JOHN LLOYD YOUNG: INTRODUCING JOHN LLOYD YOUNG! JOHN LLOYD YOUNG - INTRODUCING JOHN LLOYD YOUNG! 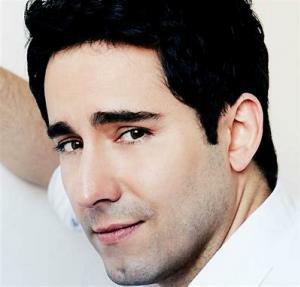 Tony and Grammy Award winner John Lloyd Young originated the role of Frankie Valli in Broadway's Tony Award winning Best Musical and international hit, Jersey Boys. As Valli, Young garnered unprecedented accolades from New York and national media, including one of the most the most exciting New York Times reviews ever written for an actor making a Broadway debut. Mr. Young went on to WIN the Lead Actor for the Tony Award, Drama Desk Award, Outer Critics Circle Award and Theatre World Award, becoming the only American actor in history to win all four leading actor awards for a Broadway debut. John sings lead vocals on the Platinum, Grammy Award-winning Jersey Boys Original Cast Album. Young re-created his award-winning Broadway turn onscreen for director Clint Eastwood in Warner Brothers' film adaptation of Jersey Boys, which premiered across the world in 2014. John Lloyd’s latest concert Introducing John Lloyd Young is not a replay of Jersey Boys – The Musical, it is an original celebration of the classic hits from the ‘50s and ‘60s all in the authentic acoustic style of rock ‘n’ roll, Doo-Wop and R&B standards. Along with tracks from Young’s critically acclaimed debut album “My Turn” the show features; “Sherry”, “Can’t Take My Eyes Off of You”, “Hold Me, Thrill Me, Kiss Me”, “In the Still of the Night along with soaring treasures in shades of Goodfellas, James Bond, David Lynch and spaghetti westerns from Roy Orbison to The Platters, the Righteous Brothers to Paul McCartney, Adele to Luther Vandross, Little Anthony, Elvis, Tom Jones and more. This show has been a smash hit across the nation and it is sure to be a HOT SUMMER NIGHT at the Historic Mansion Inn!